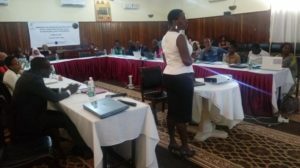 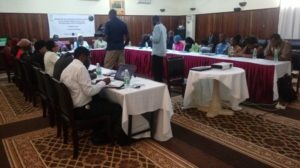 IHRDA, in collaboration with the Female Lawyers Association – Gambia, is organizing a two-day training workshop from 2-3 March 2017 for lawyers and CSO activists on advancing women’s rights in The Gambia using international legal instruments. 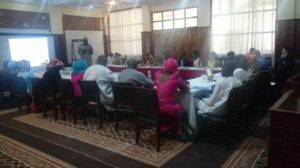 The workshop is intended to enable Gambian lawyers and women’s rights activities to not only apply international instruments when defending women’s rights cases before domestic courts, but also to enhance litigation of women’s rights issues before supranational human rights mechanisms to better assist victims to obtain justice and a remedy. 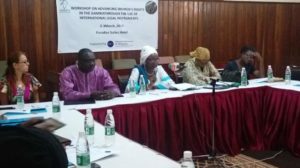 In her opening remarks, senior Gambian lawyer, activist and Board Chair of IHRDA, Mrs Janet Sallah-Njie, noted that most Gambian lawyers and women’s rights defenders tend to make reference mainly to domestic laws in cases before the domestic courts, and hardly do they litigate before international mechanisms. 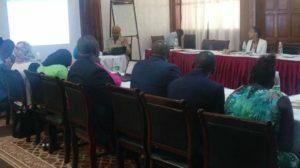 While acknowledging that the Gambia has very progressive laws that seek to promote and protect women’s rights, she remarked that international legal instruments, such as the Convention on the Elimination of all form of Discrimination Against Women (CEDAW) and the Protocol to the African Charter on the Rights of Women in Africa (the Maputo Protocol), offer broader opportunities to enhance the cause of women. 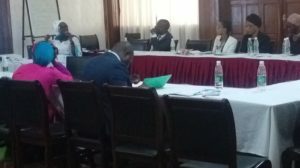 In her keynote address, Gambian Judge, Member of the African Union Commission on International Law, and Board Member of IHRDA, Justice Naceesay Sallah-Wadda, underscored the need for lawyers, civil society organizations, non-governmental organizations and women themselves to play a major role at the local, national, and regional levels, to make the Maputo Protocol an effective lobbying tool. 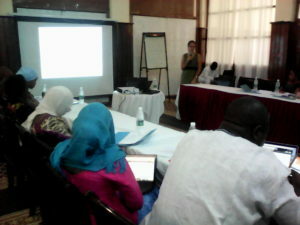 Some of the main issues discussed at the training workshop include a situational analysis of SGBV in Gambia; a comparison of the CEDAW, the Maputo Protocol and the Women’s Act of The Gambia; the rights of women in Gambian domestic law; the rights of women and girls in the UN Children’s Convention and the African Children’s Charter; litigating women’s rights before AU and ECOWAS mechanisms; and State reporting under the Maputo Protocol. 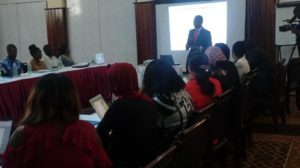 This activity is part of a project funded by National Endowment for Democracy. 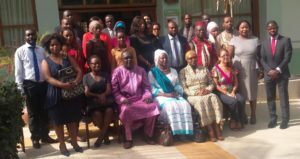 It should be noted that IHRDA is a Pan-African human rights organization with a mandate to promote the use and effectiveness of the African human rights system.